Very fast and easy to use, Lexmark's X644e mono MFP is equipped with an incredibly large, fully customisable colour touch-screen to simplify the way you work. No complicated menus, no lengthy training and no frustration. Intuitive navigation on the incredibly large, customisable touch-screen interface means fast, accurate results every time. In fact, you can even adjust the screen for easy viewing from just about any angle, in any lighting condition. 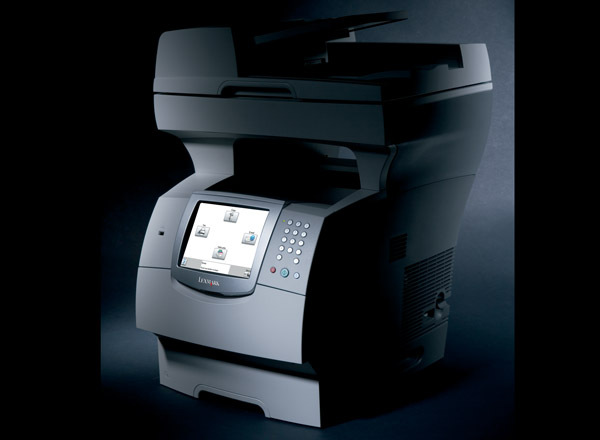 In addition to single-pass duplex scanning, you'll also save time and hassle with the 50-page Automatic Document Feeder. Just load your originals, touch the screen and leave it to do the work. 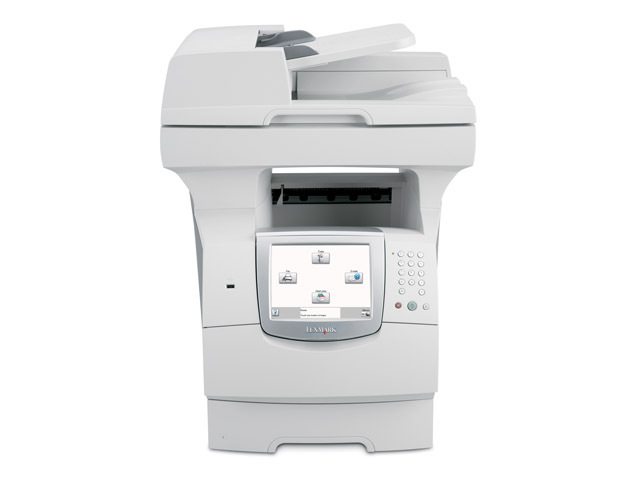 Other practical features include an internal fax modem and a large flatbed window to scan large reports. Now nothing can slow you down! When it's speed you need, just load up the 500-sheet input drawer and crank out your print jobs as fast as 48 ppm, in as little as 8.5 seconds to first page. For higher quality, you can count on 600x600dpi scanning and true 1200x1200dpi print resolution. Take workflow efficiency to new levels. The X644e is equipped with Lexmark's new Embedded Solutions framework, offering you network-friendly, native support for Lexmark's wide range of enterprise solutions and optional firmware cards.